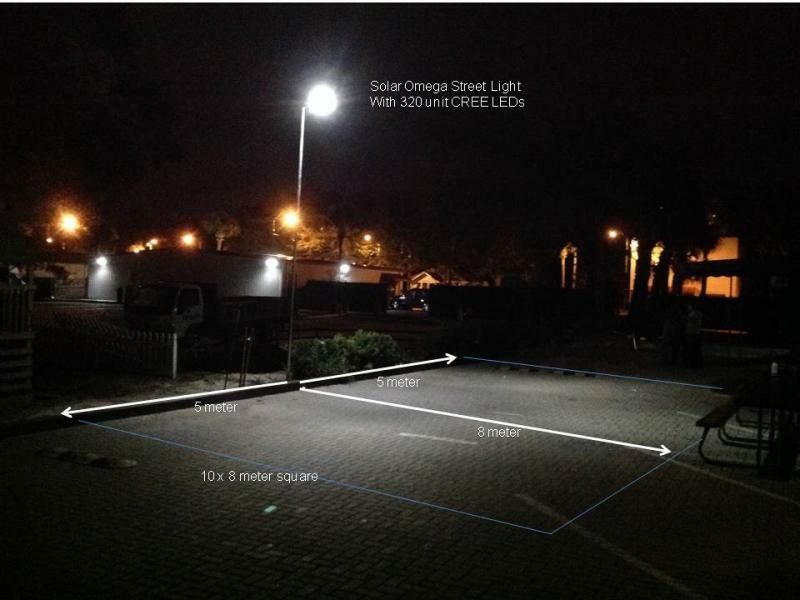 Why Choose Solar Omega Street Light? The cost of electricity around the world has increased over the last few years more dramatically than ever before in history, and the current industry trends do not show any slowdown, or reversal, in these price growth trends. 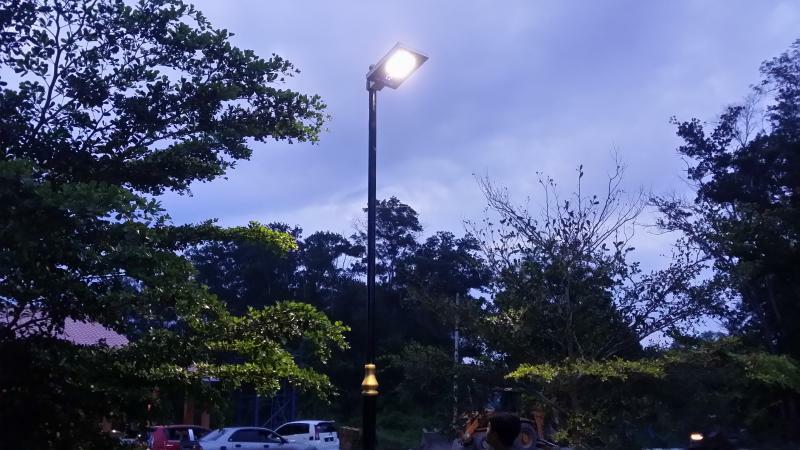 Our Solar Custom Lighting Solution (SCLS), on the other hand, requires no elec­tricity (in the normal sense) and therefore, through electric cost savings over the lifetime of the Solar Omega Street Light, they completely pay for themselves more than once over. And, in a world that is increasingly concerned with cleaner, greener, more ecologically homes and businesses, your clients will appreciate that you are taking that first large step toward a greener economy and concern about the climate change. 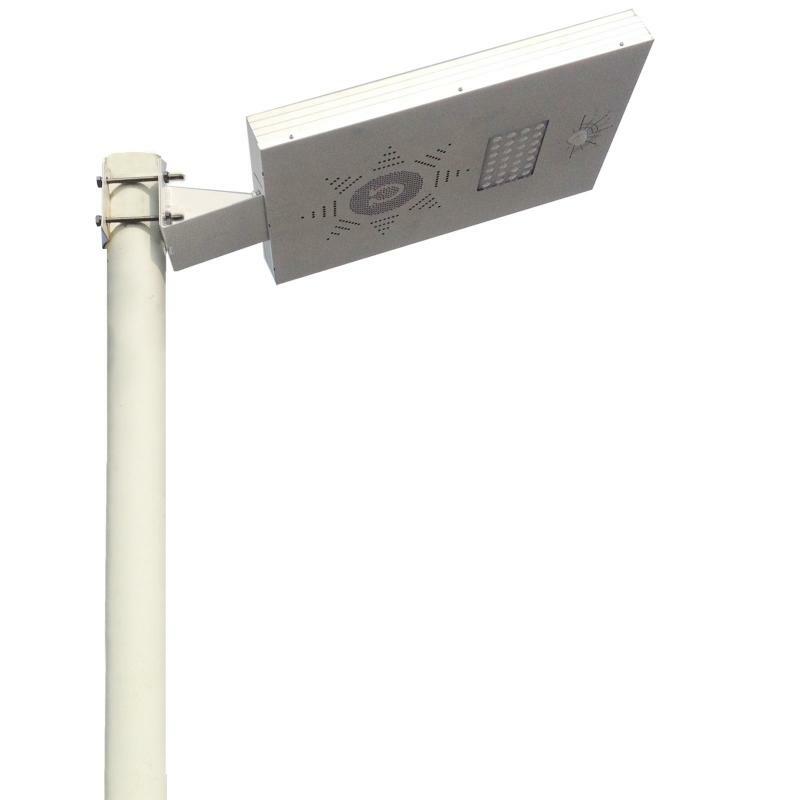 We have designed many types of solar powered street light across South Asia. Clients include state governments, municipal councils, organizations and so forth. 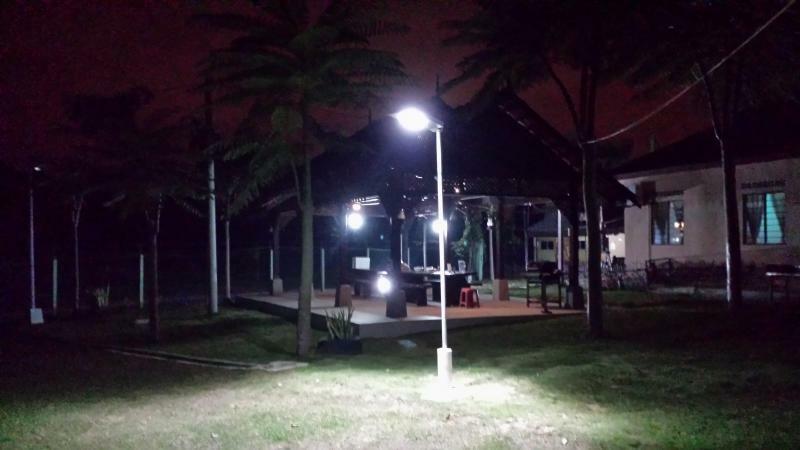 Please let us know your requrments, we will design and custom make solar street light according to your market needs. 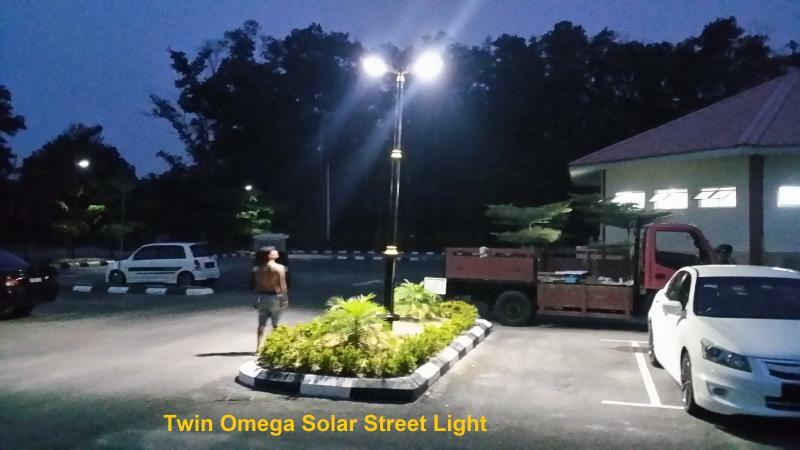 The Solar Omega Street Lights (SLM903400) for commercial quality lighting systems, residential streets, parking lots and security lighting using high quality of solar systems. 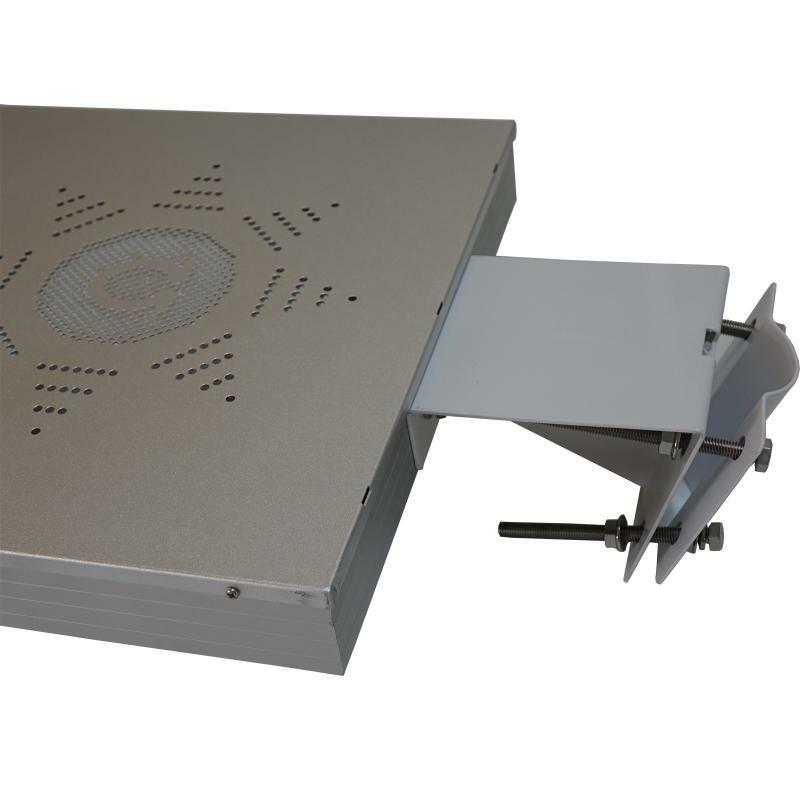 Trench Wiring – With the SLM903400 you do not need to run underground wire from the nearest electrical transformer to your lighting system. 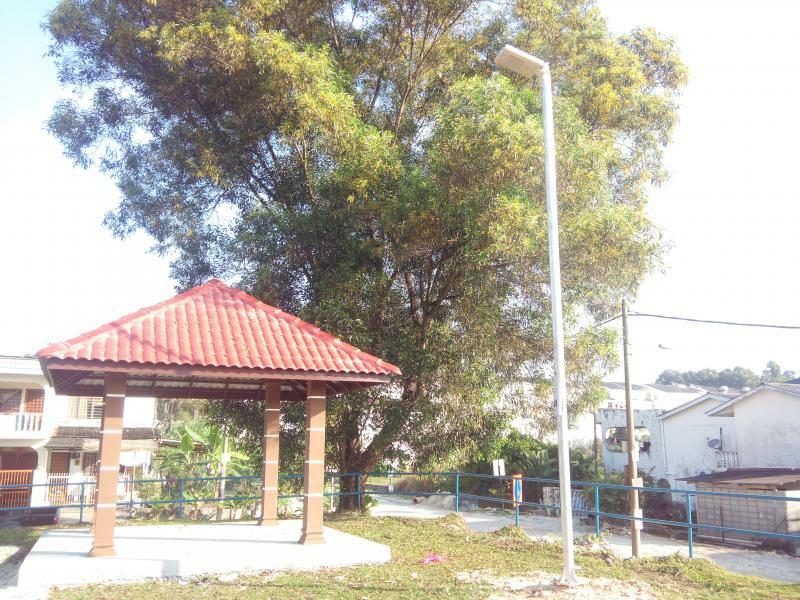 Trenching – Because the SLM903400 is a completely standalone, self-contained Solar Street Light System, you do not need to pay the additional costs of digging trenches for your underground wiring. Replacement Landscaping – Because you do not have to trench to install the SLM903400, there is no additional cost for replacing and repairing the ground that is torn up during the trenching process. 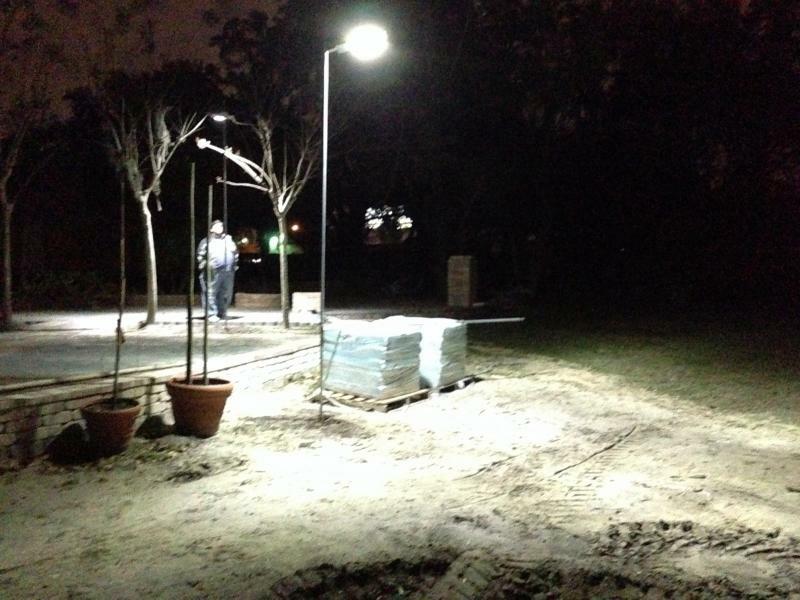 Land Usage Rights – With no need for external wire connections, etc, the SLM903400 allows you, the outdoor user to provide consistent, affordable lighting to your lighting locations without the need to negotiate with property owners to use their property for underground wiring and landscaping. No Electric Meter – With the SLM903400 there is no need to meter your lighting system. This means you save the cost of purchasing and installing a meter, and the electrical connection fees. 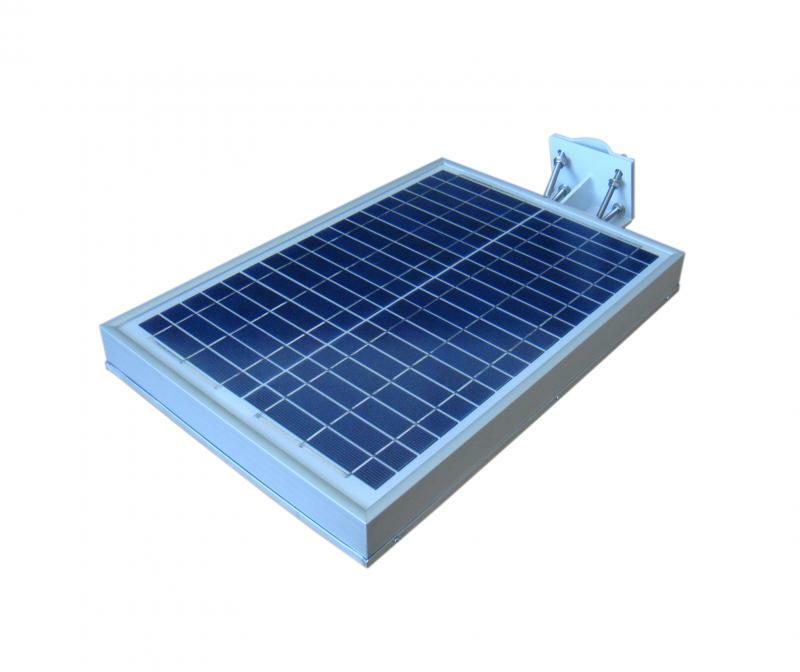 No Electric Usage and Demand Charges – Because the SLM903400 is entirely Solar Powered, you don’t need to pay for electrical usage. 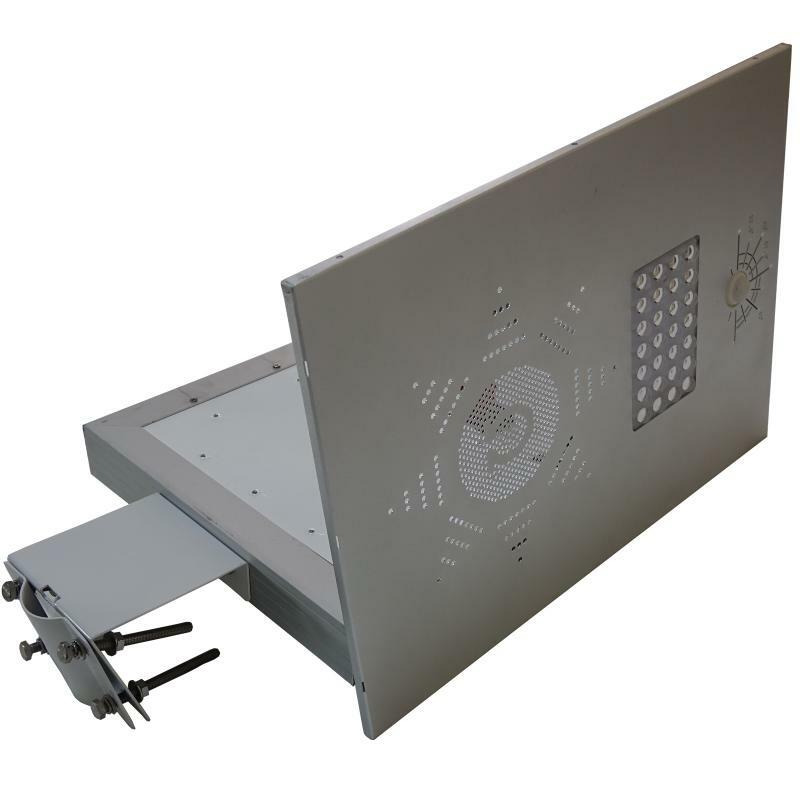 Customized and powered by 20-60 watts high efficient super cellsolar panel. Designed to withstand the harshest and most extreme environments has to offer from blistering heat to driving rain, hail and sub-zero temperatures. Whatever the environment is, rugged construction is up for the challenge. 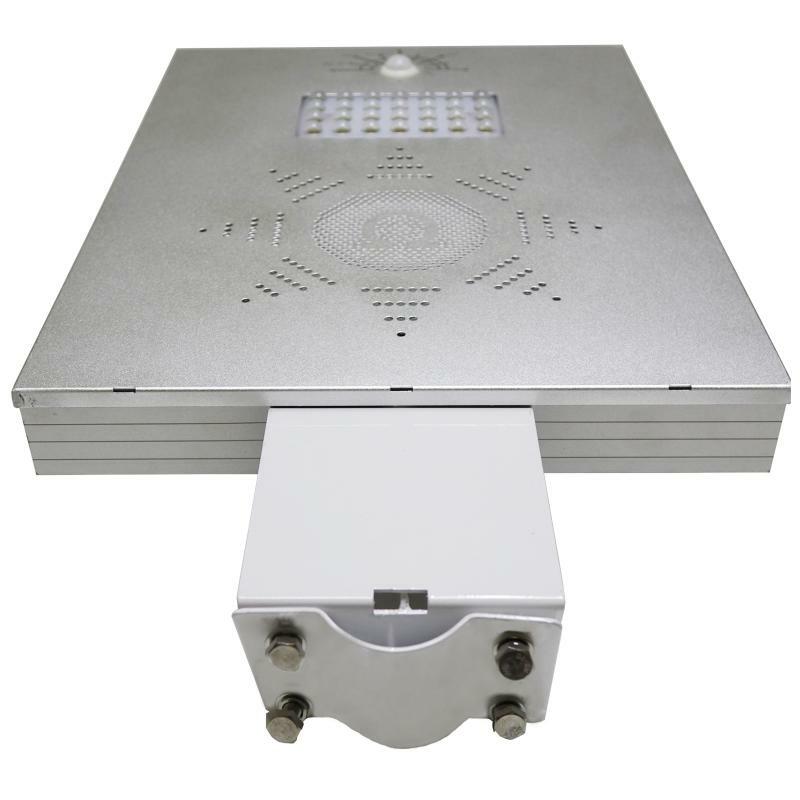 Its internal components offer IP65 weather protection and its external components are built with marine grade aluminium and stainless steel ﬁxings. 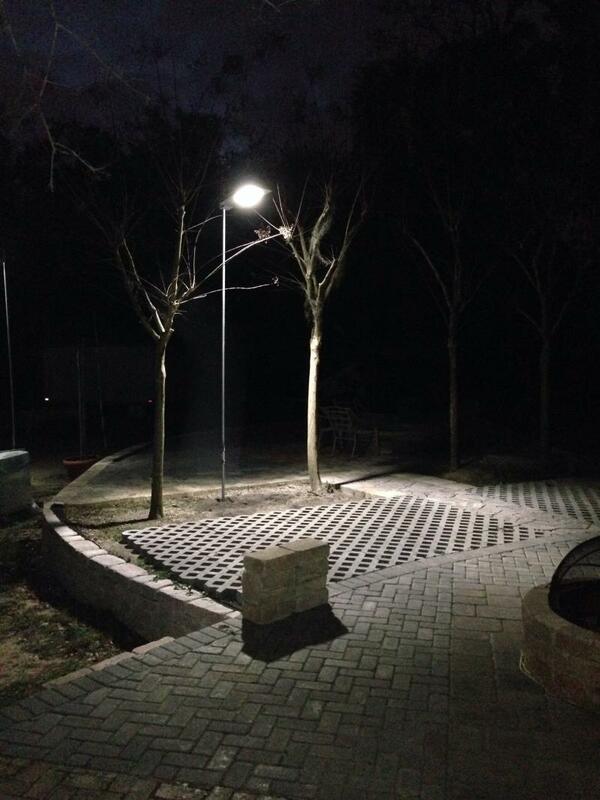 An advance 20 watts CREE LED that produced 3,000 lumens (full power mode) with Guardian PIR Motion Sensor activation. 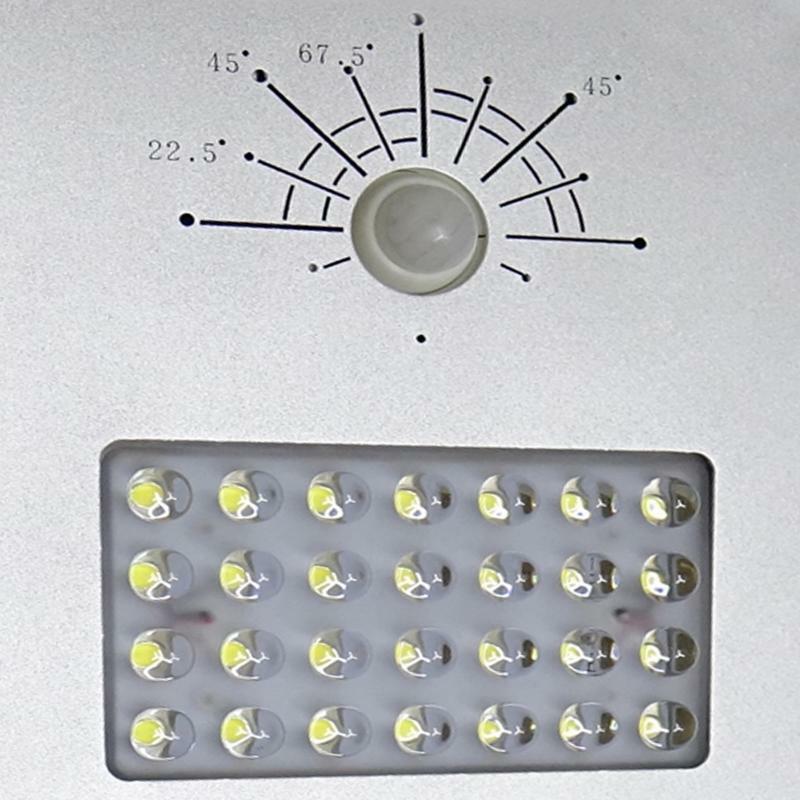 Normal operation or dim model with 500 lumen (dim mode). 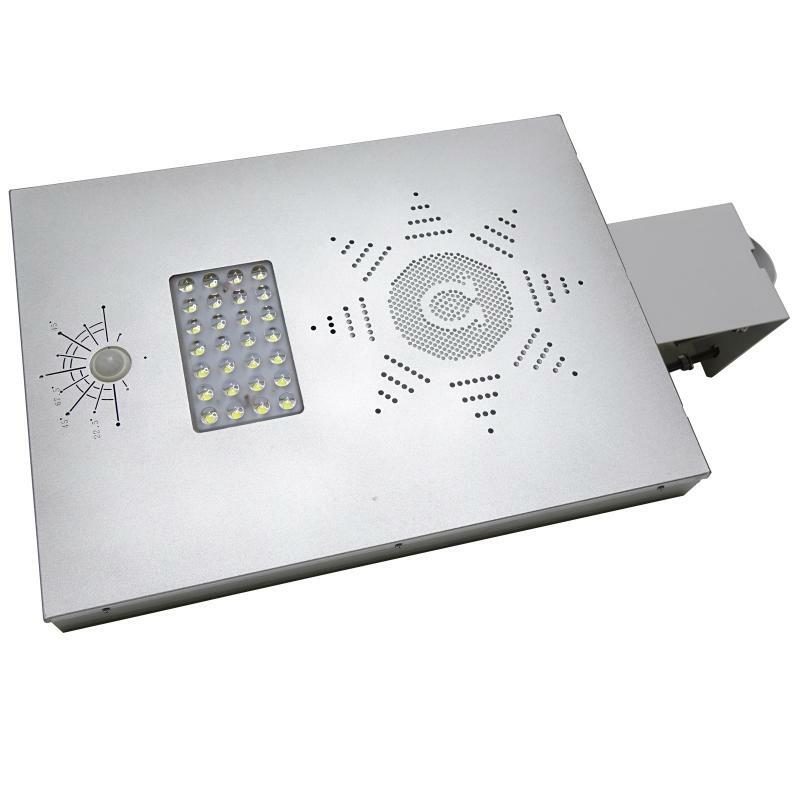 Built-in Guardian PIR Motion Sensor feature that automatically control the LED light output from full brightness mode (3,000 lumen) to a lower level dim mode (500 lumen) depending upon the detection of movement around the light. 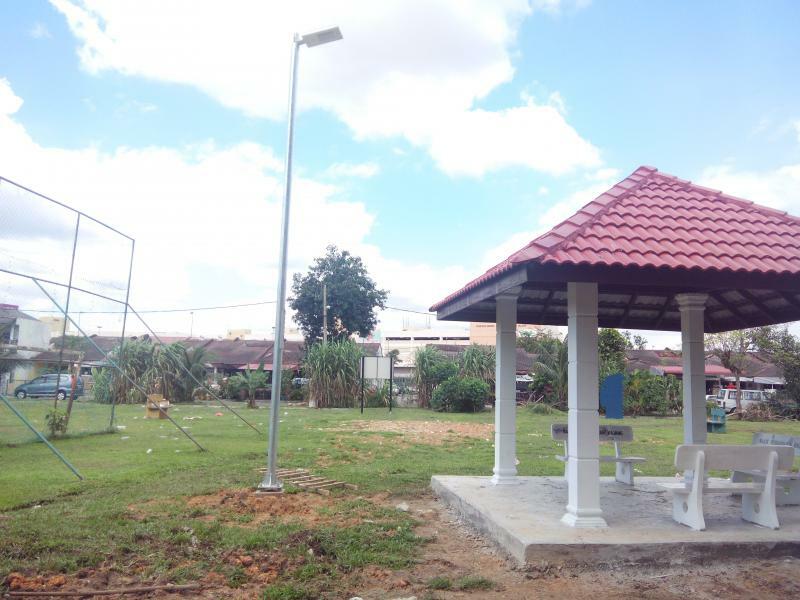 This ﬂuctuation of lighting intensity preserves battery power and also serves to increase community security by deterring unsociable activity late at night and early in the morning where these lights are installed. 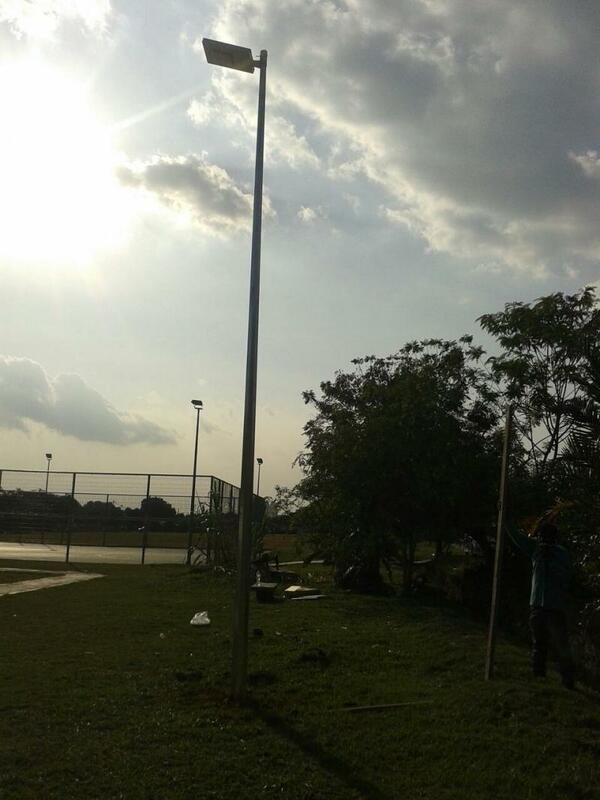 Designed for 4-6 meter pole height and 10-12 meter distance between pole to pole. 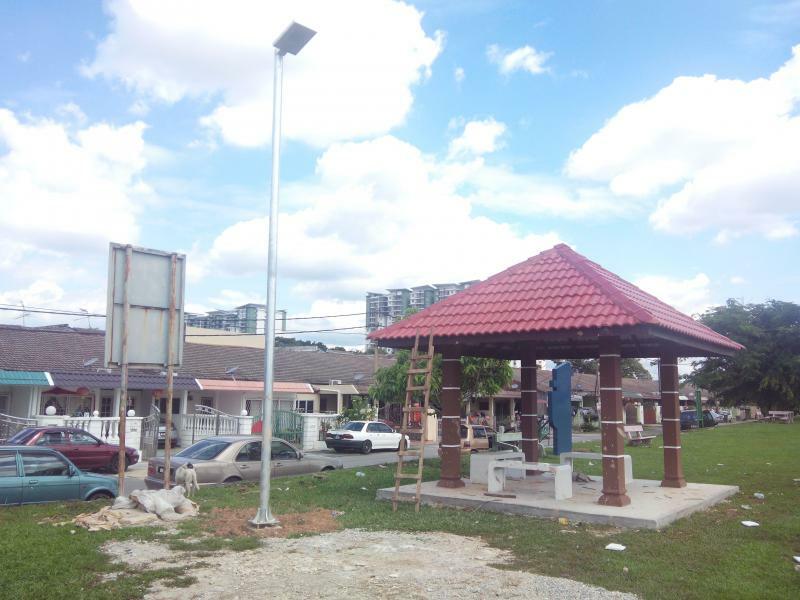 Step 1: Mount the Solar Omega Street Light on the pole with the special brackets provided. 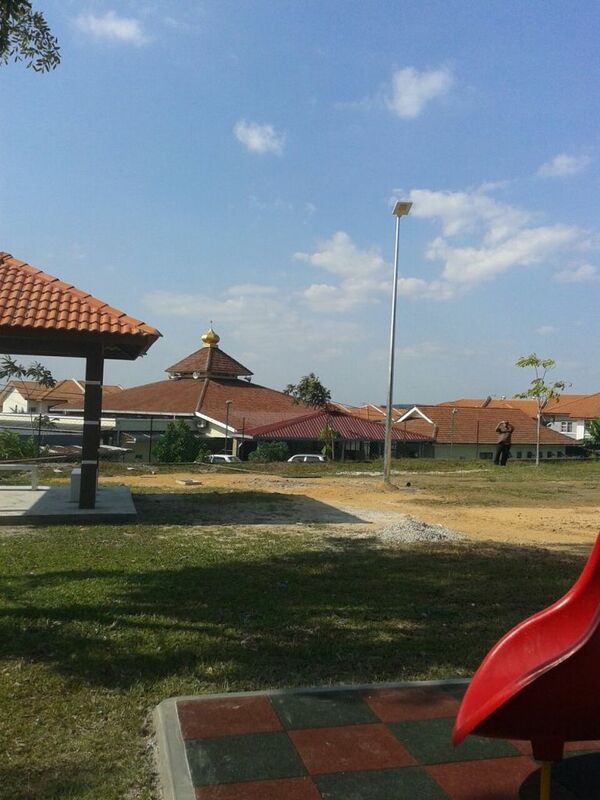 Above picture of SLM901400 is on a 6 meter pole.